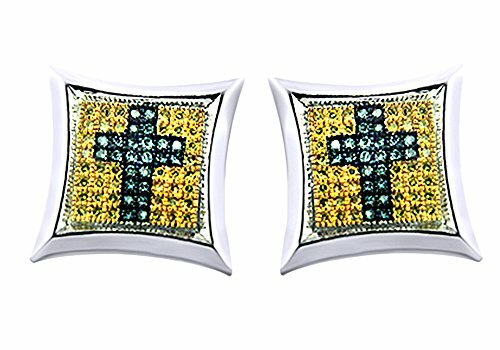 Round Cut Blue & Yellow Real Diamond Cross Stud Earrings in 14K Solid White Gold (0.85 Cttw) by Wishrocks at Blood of The Young. MPN: ISOTE-03-WG. Hurry! Limited time offer. Offer valid only while supplies last.